The Alavus airfield is a calm South-Ostrobothnian field concentrating on parachuting activities. 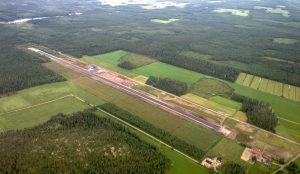 The field is situated some three kilometres south of the Alavus town, one km west of the southern tip of Kirkkojärvi lake. There is a hotel, petrol station, and normal services. Radio taxis operate in the area. 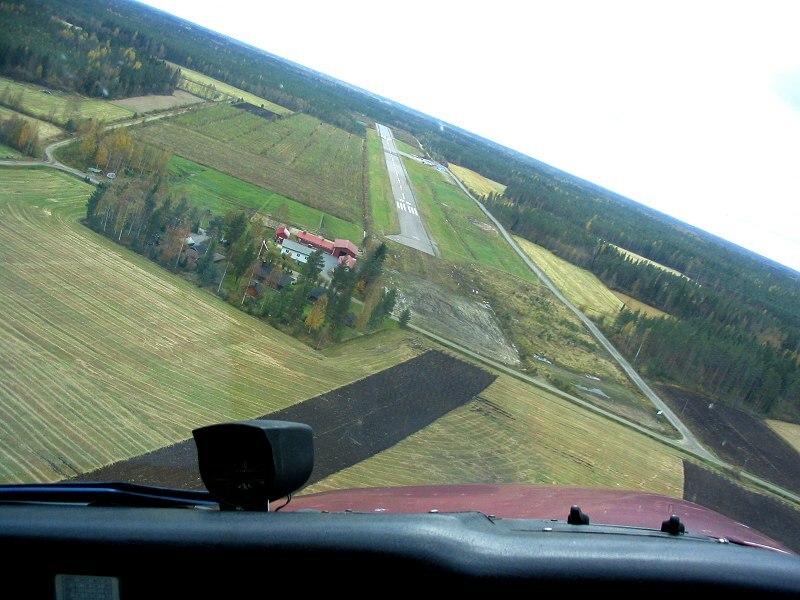 The field is used by aviators, aeromodellers, and Alavuden Ilmailukerho, the Alavus Flying Club. There are two hangars on the field. 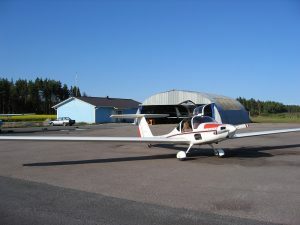 The older is of half-open construction, and has room for one or two aircraft. The newer hangar has room for four aircraft. 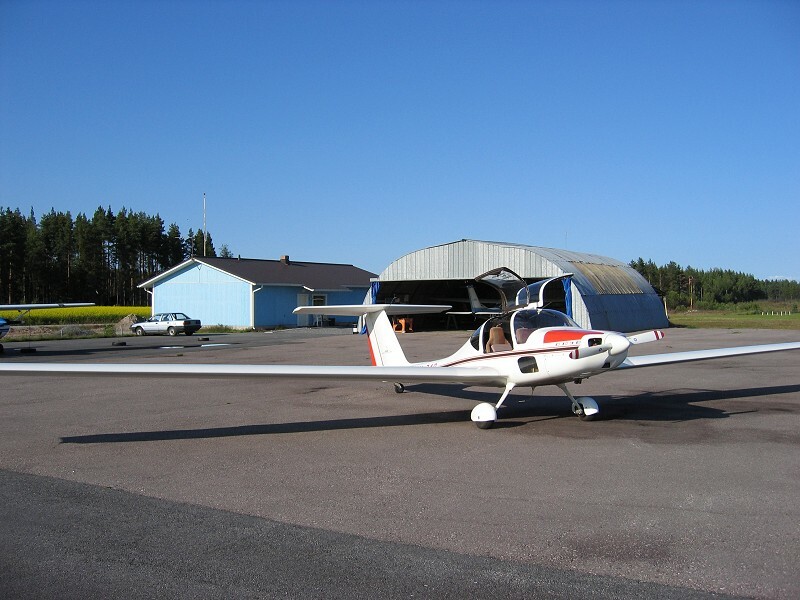 The parking area is adequate for 4 to 5 light aircraft or 2 to 3 motor gliders. There is also a fuelling station maintained by the club which provides JET-A1 aircraft fuel. The club lodge is new and well equipped. 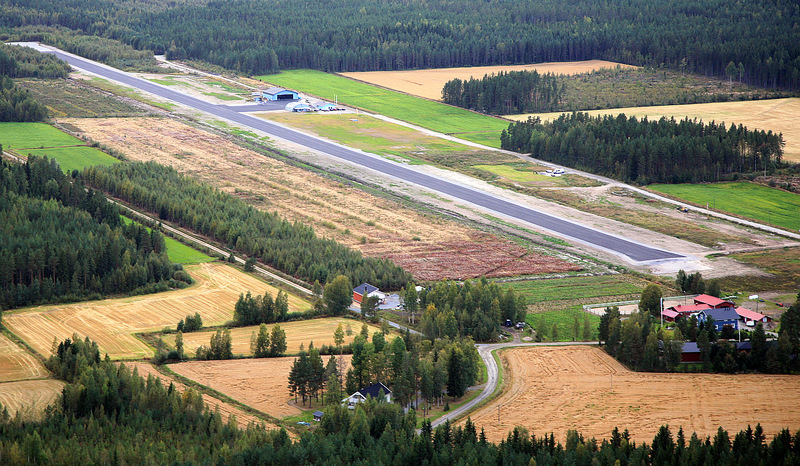 The runway and parking area were reconsructed and resurfaced 2013. 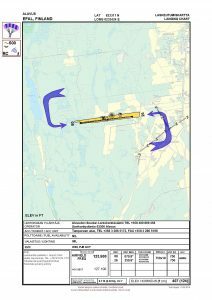 There are no taxiways, so it is advisable to make arrival messages well before landing. At the eastern end of the field northern winds may create a rotor effect, and at the west end it is often a little bumpy in thermal conditions. The plains of South-Ostrobothnia are unbelievably level and swampy. 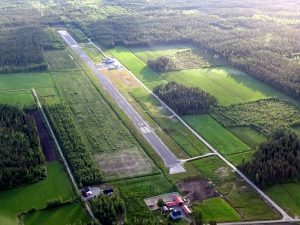 The landscape is pleasant and fine, there are several small airfields within an one hour radius. In the town there are lively activities during the summer months. The Rock-devoted Pub Ittelismies and the centre hotel provide food for both body and soul. Art can be enjoyed at the Taidekeskus HARRI gallery (Harrintie 10, phone +358 6 5161 406, summertime +358 6 5161 431). Taxi: +358 6 1064 90. Alavus from the air 07/03/2013 just after the field has been given a new coat of asphalt. Alavus great new asphalt closer. Photographed in September 2013. The neat clubhouse and picturesque hangar made in ostrobothnia style.